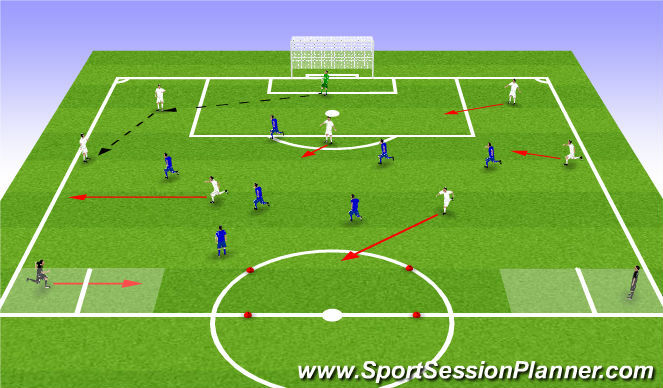 Recogize pressure and adjust first touch on the pressure. If pressure comes from the side take your touch in. If the pressure comes from the inside take touch out. Accelarate with the first touch, fall into the touch, be on your way. 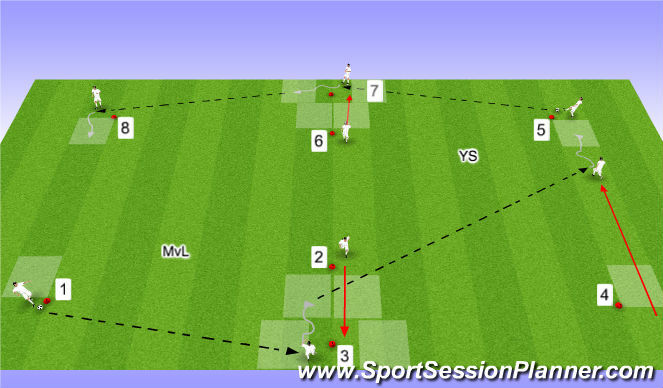 White can score by playing the ball to one of the targets. If the target gets the ball he will start playing with blue. White can also score by receiving the ball in the red square. If ball go&apos;s to the side, midfielder on the side of the ball opens the channel, midfielder opposite side try&apos;s to find channel in the middle. Target on the side of the ball move opposite side. 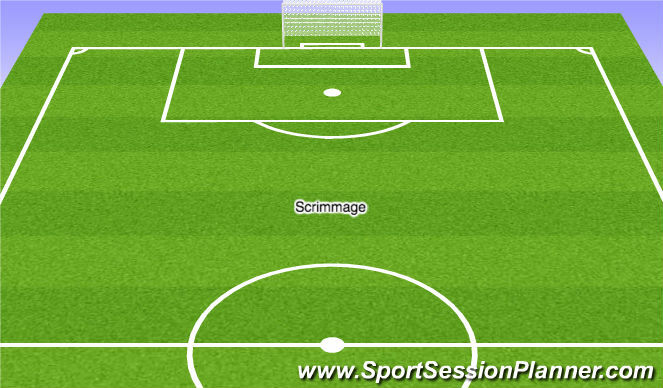 If midfielder stay in, target (winger) out, If midfielder go&apos;s out, target (wingers) go&apos;s in. We need to recognize better when we are open in the channel or need to leave the channel because we are marked to open the channel.